What more can I say? 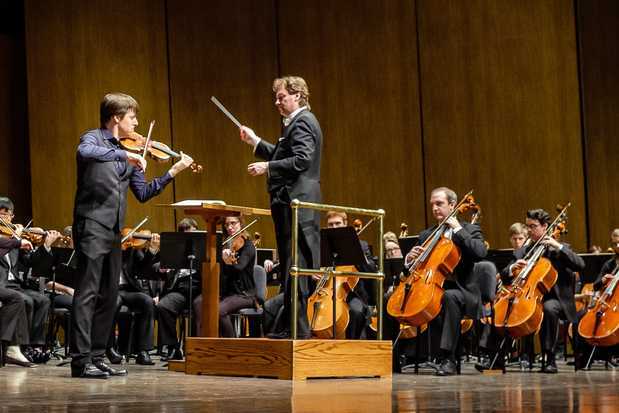 After enjoying a wonderful concert with the University of Kentucky Symphony Orchestra, with accompanying guest classical superstar violinist Joshua Bell, I left inspired and starstruck! I am not a music critic, but I am an avid music fan. Those that know me are aware that I am a 70s rock ‘n roller and an collector of cover songs. But, I grew up listening to classical music, I’ve married a classical violinist and I have classical music in my life and I enjoy it as well, and do include it in my collections. Though not a critic, this is my review of the concert from April 3 based upon my experience with music. The UKSO opened with two luscious pieces. 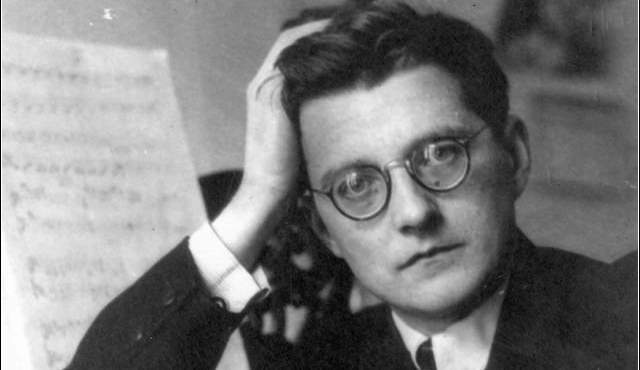 The first piece was a very delightful, indeed festive offering by Dmitri Shostakovich. Entitled “Festive Overture“, it is filled with catchy melodies and straightforward harmonies, perhaps a reflection of the Socialist regime’s push for simplicity in the 1950s. The piece started with with a grand brass fanfare, a perfect opening for a concert. Soon the tempo abruptly changed into high gear for the main theme, which included a bubbly clarinet tune. From there the pace of the music was breakneck and whimsical. I loved this opening piece and was only disappointed in its brevity. 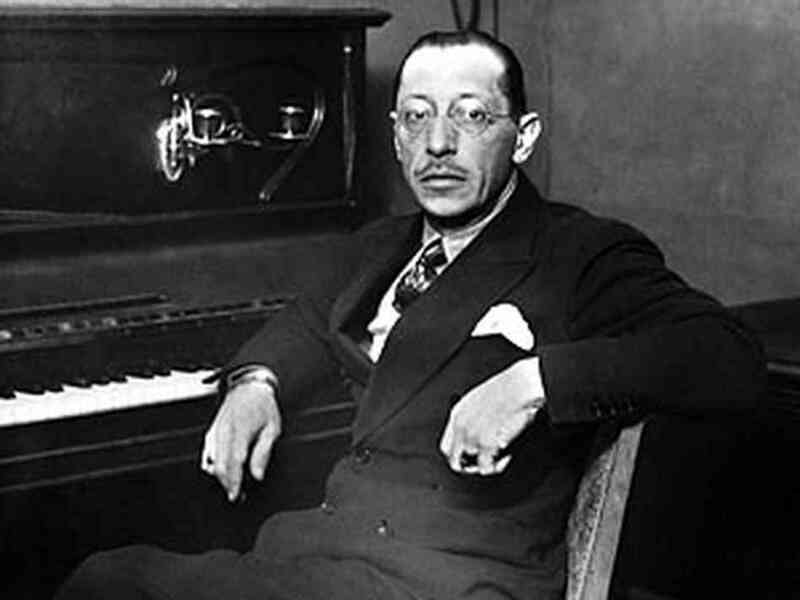 I had not heard Stravinsky’s Firebird Suite in many years. I recall an old album my Dad had in the 1960s, conducted by Leopold Stokowski. I was not too endeared to it back in the 1960s. In terms of classical I was more prone to listen to my Dad’s Mozart, Beethoven and Brahms albums. As I grew older and listened to it again in the 1970s, I enjoyed it more as I was able to understand the story that the music elicited about an evil king, a prince and a Firebird that saved the day. 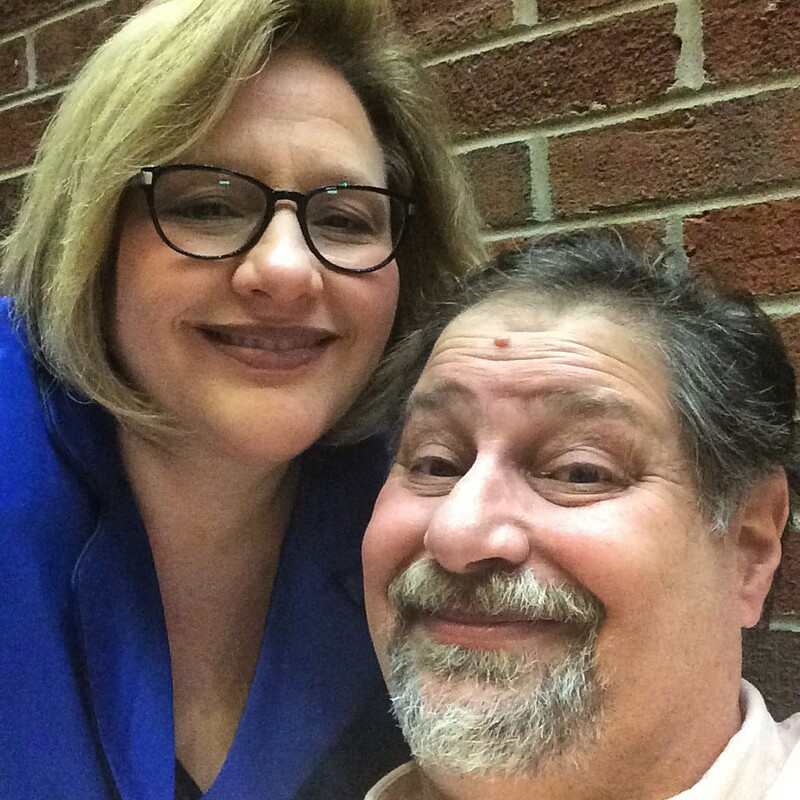 The UKSO performance, conducted by John Nardolillo, was moving. Outside the rain was pouring buckets and, from my third row seat in the Singletary Center, I could hear it flowing down the side of the building. This background “music” of the flowing water added to the mysteriously flowing stanzas of the seven movements. After so many years of not listening to it, I was enthralled by all of the musical movement coming from the various sections. But, I also had a great angle to catch a profile of Dr. Nardolillo and could see his amazing expressiveness. It was almost as if he were yelling out to the orchestra. It was obvious that he put his entire self into the music and not just his arms. Throughout the entire performance my eyes were glued on him as the music filled my ears. Indeed, it was an enjoyable piece and it was actually the first time I ever heard it performed live and I was grateful I had the opportunity. After intermission, the highlight of the night was having the rare opportunity to see a world-class violinist perform. 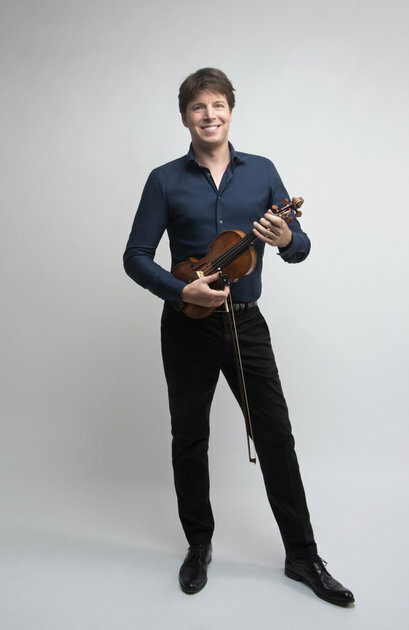 What made it even more fascinating and rare was knowing that Joshua Bell was performing with his 300 year old Gibson Stradivarius violin (named after one of its early owners, the English violinist George Alfred Gibson), which is valued at over $4 million. This antique violin was fabricated by Antonio Stradivari of Cremona in 1713.. The Gibson, while owned by Bronisław Huberman, was stolen twice. Read the complete story here. Joshua Bell opened with Max Bruch’s Violin Concerto No. 1 in G Minor, which was written in 1866. This concerto, according to some, is one of the finest concertos in the violin repertoire. It is also considered to be the German composer’s finest score. Ironically, this was the same piece that Joshua Bell performed in his Carnegie Hall debut in 1985, when he was only 17. The flowing water coupled with the rumbling timpani and the smooth sounds of the woodwinds backing the soloist was an absolute delight. And of course, Bell did not fail to impress. 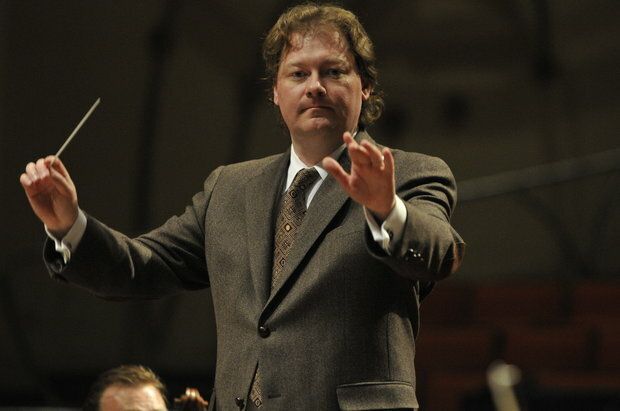 He had passion written all over him in the amazing Bruch concerto. 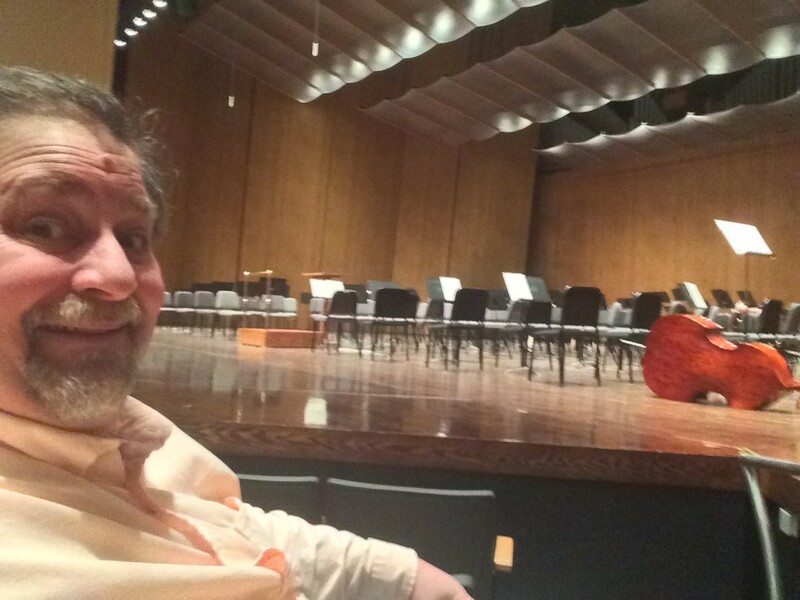 Once again, from my angle and close proximity I could see every facial crease, every smile of joy in his face and the look of contentment with this youthful college orchestra, which stepped up their game to match the intensity of the word renowned Joshua Bell. He was both colorful and provided all with a chance to hear the tones of his 300 year old violin. 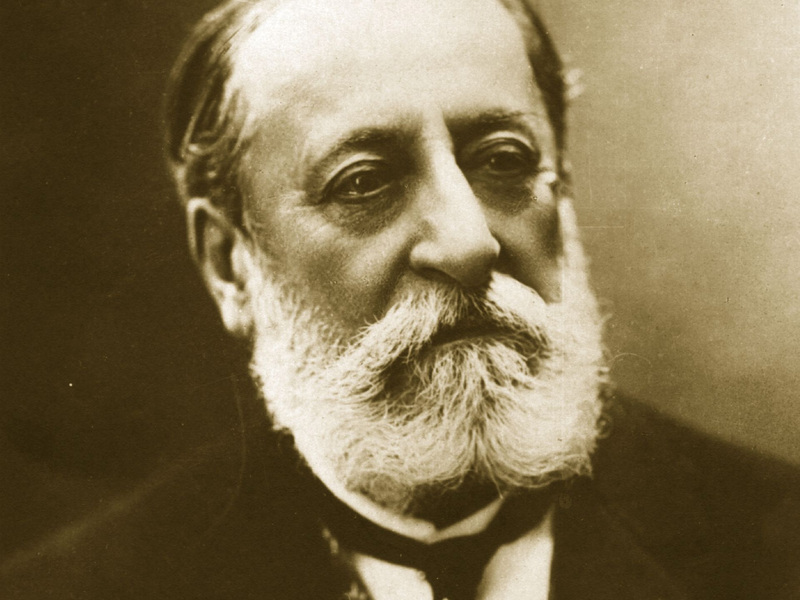 The performance closed with a fantastic rendering of Introduction and Rondo Capriccioso in A minor by French composer Camille Saint-Saëns, which he wrote in 1863. This performance mixed excitement with the exotic. The tune was colorful and lyrical and made me want to get up and dance gleefully (which I can’t imagine trying to do!!). Bell’s fingers just rolled down the strings. Overall it was an amazing evening of music, despite the torrential weather outside. Ny the time the concert had ended, so had the rains. 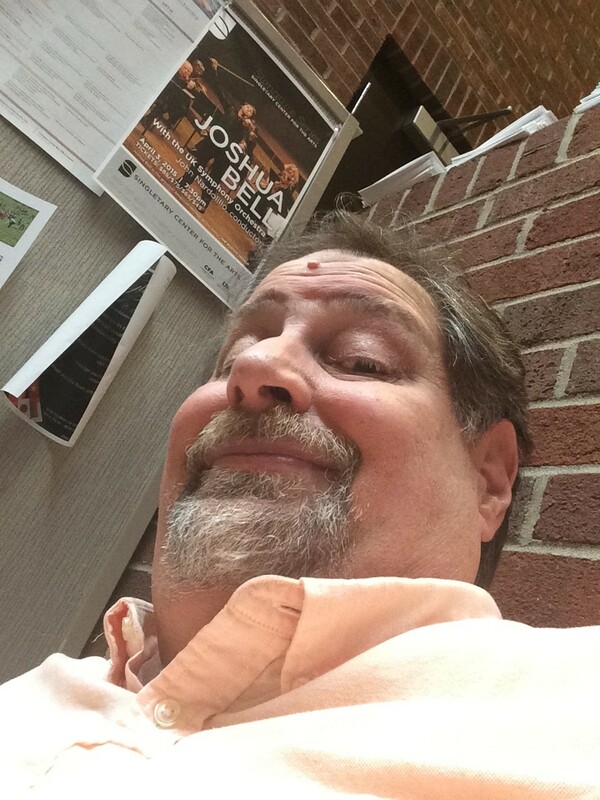 It was a cool and refreshing walk back to the parking lot as my wife’s dreams were fulfilled in seeing Joshua Bell and my soul was filled with delight from the whimsical and mysterious music that filled the Singletary Center for the Arts. 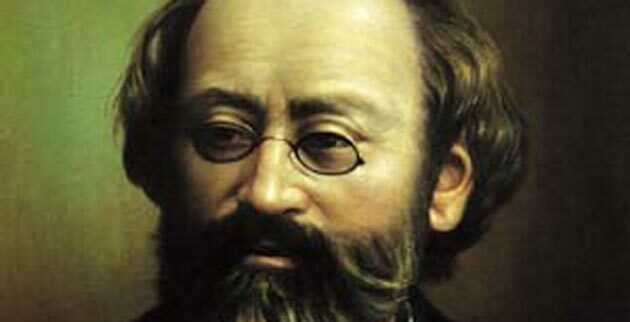 This entry was posted in Classical Music, History, Live Concerts, Music, Music Review, Reflections and tagged Bronisław Huberman, Bruch - Violin Concerto No. 1 in G minor, Camille Saint-Saëns, Dmitri Shostakovich, George Alfred Gibson, Gibson Stradivarius, Igor Stravinsky, John Nardolillo, Joshua Bell, Max Bruch, Saint-Saëns - Inroduction and Rondo Capriccioso in A minor, Shostokovich - Festive Overture, Singletary Center for the Arts, Stravinsky - Firebird Suite, UK Symphony Orchestra, University of Kentucky Symphony Orchestra by sumoflam. Bookmark the permalink.